A third of all food never makes it to a plate. The reason depends on where you live. Each year, a third of all food produced around the world never makes it to anyone’s plate. That’s more than a billion tons of food, wasted. And it has a big effect on the climate. If food waste were a country, it would be the world’s third largest emitter of global-warming pollution. 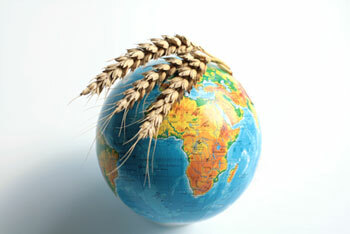 All that pollution comes from the energy used to plant, grow, and harvest crops, then ship and process all the food. And then there’s all the methane that’s released when wasted food breaks down in a landfill. The causes of food waste, however, are different in different parts of the world according to Tim Searchinger, a research scholar at Princeton University. Because they lack equipment, many African farmers cannot quickly harvest their crops when bad weather strikes. And refrigeration and proper storage are often limited, so food rots before it can reach the market. So Americans can make a difference by buying just what we need, eating leftovers, and composting. The results will help our wallets and the planet. Reporting credit: Andrew Lapin/ChavoBart Digital Media.